Last month, as part of my plan to read through the Bible in 2019, I worked my way through the book of Deuteronomy. To be completely candid, I wasn’t looking forward to this particular book. 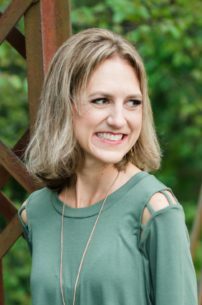 After surviving the laws of Leviticus and the genealogies of Numbers, I was longing to dive into a part of the Bible with a bit more action, or at least more personal application. But as I dug into Deuteronomy, my heart immediately warmed to this book. My study Bible states that the purpose of Deuteronomy is “to provide guidelines for the new covenant community—the generation of Israel entering the promised land—to enable them to live obediently before God and to carry out His intentions.” This description may seem a bit dry, but I found the opposite to be true. 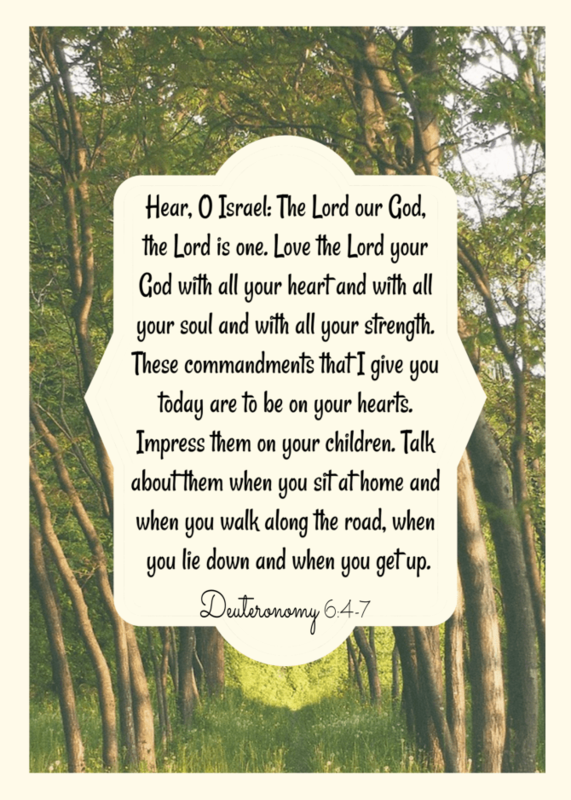 Throughout the book of Deuteronomy, in the laws that are stated and the commands that are given, we are provided with a glimpse into the nature and character of God. We see that there is no God but the Lord, and His holiness, righteousness, and justice are reflected throughout the nature of His law. In Deuteronomy, we are given a picture of a God who has entered a covenant relationship with a people who are fallen and broken, but whom He loves. God pledges His faithfulness to His people and, in turn, desires the loyalty and obedience that will form the foundation of an intimate, loving relationship with Him. As I worked my way through this fifth book of the Old Testament (slowly—not because the reading was tedious, but because I didn’t want to a miss a thing! ), I found myself highlighting passage after passage in which God beseeches His children, the people of Israel, to keep His commands . . . not because He is a cruel God who demands blind obedience, but because He loves His children and knows His instructions provide a path to peace, prosperity, and joy. This passage from Deuteronomy 6 proved to be one of my favorites, and the one that has stuck with me the longest. In it, God reminds us that our number one priority—more important than every law and ordinance—is to love the Lord our God with all that it is in us. Our actions, emotions, thoughts, and physical strength are to be wholeheartedly directed towards our Heavenly Father. Part of loving God is remembering His words to us. We are not just to listen to them recited every Sunday at church, or even read them once per day during our personal Quiet Times. We are to reflect on His words all day long, repeating them to ourselves and to one another until they are tattooed across our hearts. His words are to become the wellspring from which our attitudes, words, and behaviors flow. They are to form the foundation for our children’s education, and the bedrock of our entire lives. If I’m being honest with myself, this is not currently my personal reality. Sure, I study God’s Word each day, memorize a passage each month, attend weekly Bible studies where I talk about Scripture and how it applies to my life, and tell nightly Bible stories to my child. But still, God and His Word continue to be a part of my life. My every breathing moment is not directed towards loving and serving Him. God’s poignant words in Deuteronomy remind me that He longs for all of me. ALL of my heart, my soul, and my strength. My life comes from Him, every breath I take is a gift from my Creator. I am His, and He desires to be mine as well.